Almost everything you see this holiday season will encourage you to spend money. 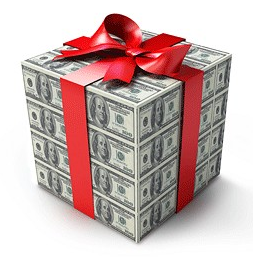 You may feel pressured to buy the “best” gifts or top gift giving from previous years. In fact, according to the Consumer Federation of America, 1/3 of us planned on spending more during the holidays in 2013 than we did in 2012. OK, with that out of the way we can now focus on how to make that happen. Focus on what you really want – I’m not talking about gifts or presents here but rather items like a down payment for a house, saving for a child’s education, or building an emergency fund. Create a spending and savings plan to reach your goals – Don’t wait until the New Year, after you have spent all that money over the holidays, to make a resolution to get your finances together. Do it now before you start any holiday spending or incur any unnecessary debts so you know exactly how much you can spend. Take the America Saves Pledge – Those who make a commitment to themselves and their family to save usually save more than those who don’t. Make your commitment today and get monthly advice and support from America Saves while you save money. Form gift exchanges – This many not work with all families, but it should definitely work with friends and coworkers. After all, reducing the number of your gifts you have to buy can save you a lot of money. Make homemade gifts – Think bath products, movie night packages, remote holders, drink koozies, and candles. Pinterest has so many great ideas to inspire you. You can knit, sew, glue, fold, stir, or recycle a handmade gift that keeps your spending low and your personal investment high. Share a skill – Instead of giving a coupon good for one dog walk or one house cleaning (though those are valuable gifts to give, too! ), offer to teach your grandmother or an uncle how to use Twitter or arrange for a special night where you can teach a niece or nephew how to cook a meal. You don’t have to let this holiday season break the bank. Remember your personal savings goals and get creative with gift giving this year to reduce spending and save money. Katie Bryan works for America Saves, managed by the nonprofit Consumer Federation of America (CFA), which seeks to motivate, encourage, and support low- to moderate-income households to save money, reduce debt, and build wealth. Learn more at americasaves.org. Ever Wonder What The Government Spends Money On? Health (23.6%) – The largest spending of the budget lies within health care costs. This includes programs such as Medicare, Medicaid, and other public health services. Social Security (24.3%) – Coming in second place is Social Security. Of course, this includes financial benefits given to those as early as age 62, but this also includes those who qualify and have become disabled. It has been noted Social Security may be one of the largest cut programs when the government is forced to end overspending and balance the budget. Save today to create financial peace tomorrow! Defense (17.3%) – Many Americans believe spending on the military and defense is number one in the budget. In reality, it actually takes the bronze medal. This part of the budget includes paying for military expenses on foreign soil, expenses to keep our home land safe, and also perks for soldiers such as the G.I. Bill. Income Security (14.7%) – This sounds like a broad and confusing category, but what it entails is simple. Interestingly enough, the largest expense within this category are tax rebates like the Earned Income Tax Credit. Other programs include affordable housing and food stamps for those in poverty. Interest (6.5%) – This is where things get alarming. The government is spending about 6.5% of the budget to simply stay recent on loans taken from other governments such as Canada, Japan, and China. Think off all the cool things America could do with that money if they drastically reduced the spending in this category. Other (13.6%) – The individual expenses are small and the categories are numerous at this point. Some of the “other” expenses include environmental affairs, education, and international affairs. On the Carnival cruise line, orange juice is offered at breakfast and lemonade is available all day for free. If you want soda, you’ll have to pay. Carnival sells a refillable drink cup that you can use for unlimited non-alcoholic beverages, but it will charge your room around $6 dollars per day per cup and gratuity. To save money, bring your own water bottles or 12 packs of soda, or throw a couple of cans in your suit case to get you through the cruise. This is one way you could save a lot of money if you want more than water and lemonade. If you plan to fly to catch your cruise, don’t forget you will have to pay for transportation from the airport. You should plan at least $30 per person each way to have the ships shuttle pick you up. You can look up what the cab fare from the airport to the ship at http://www.taxifarefinder.com. If you drive, you will have to pay for parking (about $15 per day). Many cruise lines including Carnival require passengers to set up a tab before boarding the ship. Everything you purchase on board will be billed back to this tab. Carnival also adds automatic gratuities to your tab for the people who service your room, the waiters at restaurants and miscellaneous other staff. The charge is a minimum $10 a day per passenger. You are still expected to tip above and beyond that amount when ordering food or beverages that are not included in the cruise package. On a 4 day cruise, this charge is 26% of the price of a $150 cruise. While you don’t have to spend money to leave most cruises, most of the activities off of the ship will cost you. Beaches and shopping are not always within walking distance and the average paid excursion will run you $50 to $150. While these can be really exciting once-in-a-lifetime activities like para sailing or scuba diving, they are not cheap. To save money, research the activities and see if you can book the same activities cheaper outside of the cruise line. On our recent cruise to Catalina Island, golf cart rentals are a common way that people can explore the island. To book a cart through the boat it was $50 an hour or more depending on if the tour was guided. We were able to rent a cart when we got there for $40 an hour. Also consider taking a taxi to and from the ship instead of paying for transportation through the ship. On our port in Mexico, taking a taxi several miles back to the boat cost under $5 and the ship charged $25 per person. There are a lot of activities on the ship that are free including musical shows, comedy, game shows and live music. There are also a lot of activities that will cost you like gambling, bingo, concerts, lotto’s, raffles, going to the spa, and of course shopping. Save your money and stick to the free events. My final tip is to take enough cash that you won’t have to use an ATM on board. The fee on our cruise was $10 to withdraw even $20 and the ATM on our cruise would not work with our credit union debit card. Plan ahead and bring cash so you don’t have to worry about about money. You don’t want to get stuck on an excursion in another country without cash. I loved my cruise. 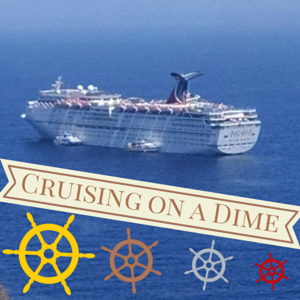 These costs shouldn’t deter you from cruising but you should keep them in mind so you don’t overdraw your bank account or go in to debt. Budget at least $250 per person to cover these costs before you go on your cruise. With a little planning ahead and choosing less expensive activities, you can save a ton of money and have a great vacation.